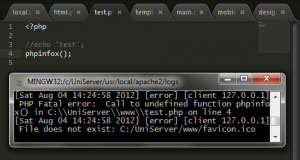 For server-side programming languages it is a standard good practice to activate error reporting while you develop something and deactivate it on the live server. That’s for obvious good reasons: You switch them on because you’d like to know about all errors to fix them as early as possible. And you switch them off because normal users of a website or application shouldn’t know about them. 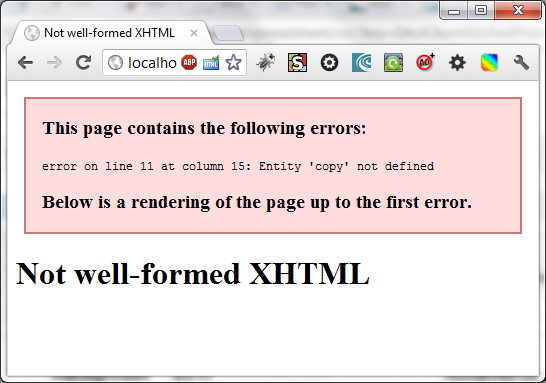 There actually already is an in-built browser feature which will do a majority of HTML error reporting. Or rather XHTML error reporting. 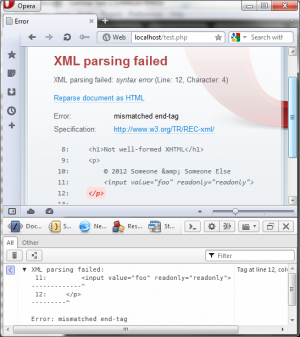 What I am talking about is the XML parser. 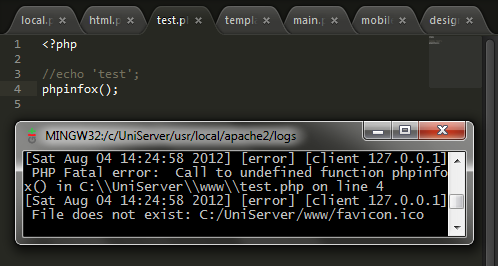 But in my experience the majority of HTML errors which cause problems are exactly those kind of errors, e.g. when a div is not closing somewhere. It’s potentially hard to fix when you discover it later on, but when you see it straight away, it will make things a lot easier. Chrome renders the page up until it encounters its first error. That user-friendly way lets you at least see some of the page before it stops rendering. 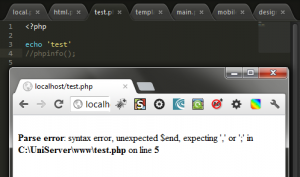 The error is also styled in a nice way that won't scare users away. 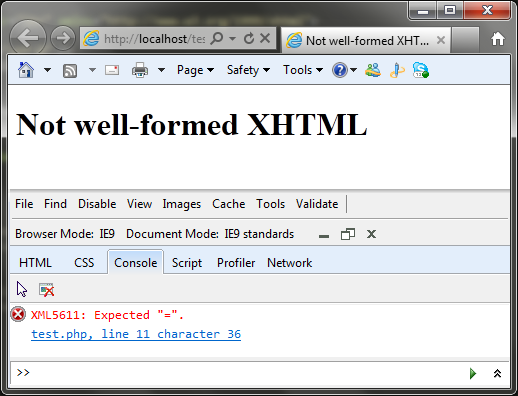 Internet Explorer 9 also shows the page up until an error appears (similarly to Chrome). The big difference is that IE only shows the error in its console and not on the page! Firefox is the only one of the major browsers which always stops rendering completely as soon as it encounters an XML error. 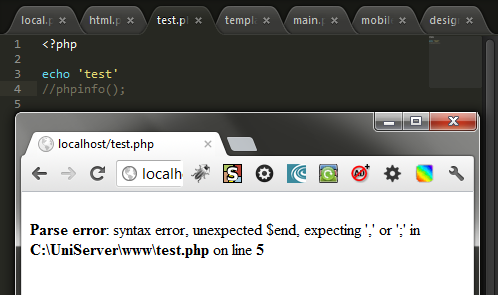 That's why the error messages are quite scary (and also quite ugly). At least it's very convenient that it shows you exactly where the error is. 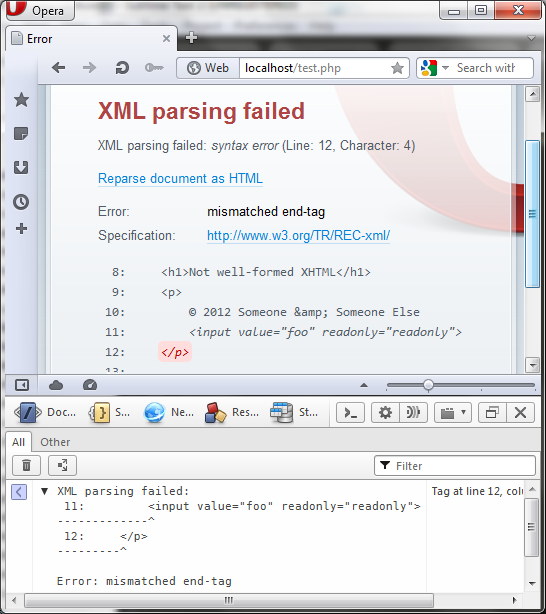 I very much like how Opera handles XML errors. It will not stop any rendering unless you have its developer tools open ("Dragonfly"). 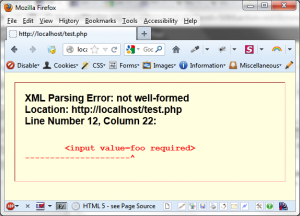 Then you will see a beautiful page with the error shown within the code. That's more helpful than any of the other browsers (although all of them give line and column numbers). If you haven't had Dragonfly open already, you can either reload the page or just look at its console and you will see the errors there as well. This entry was posted on Sunday, 5th August 2012 at 11:44.